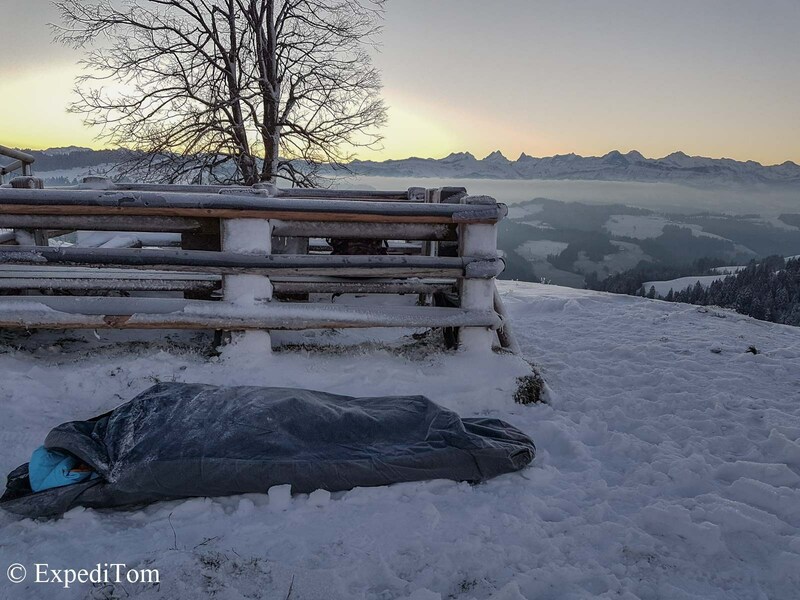 Recently, I wrote a post about my sleeping setup and how I combine several items in order to adapt to the environmental circumstances such as temperature, precipitation and wind. After a recent outdoor adventure to photograph the Geminid meteor shower in December, I knew it is time to get my own winter sleeping bag. On this particular overnight trip, I used my summer sleeping bag (SeatoSummit Spark II) in combination with the Exped Winterlite from my girlfriend in the Outdoor Research bivouac sac. 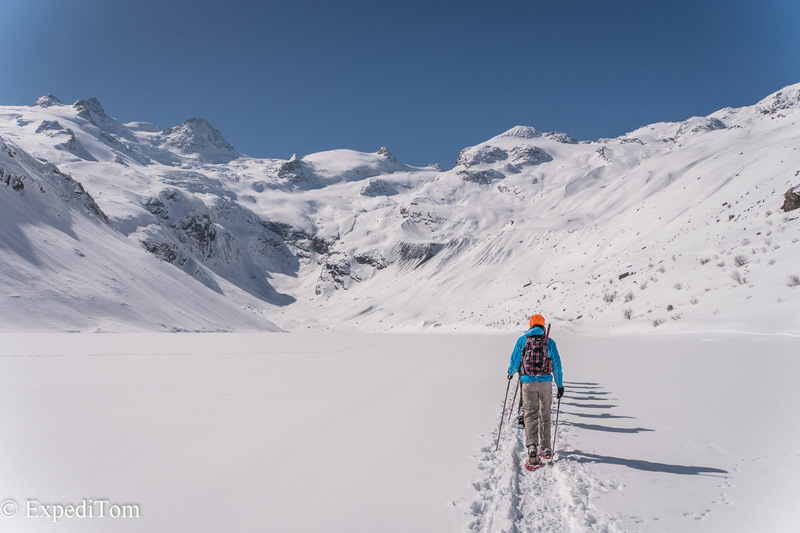 I had a pretty good night, although the Thermarest Neoair Xlite mattress is not the adequate choice in snow. Slowly, the cold crept in from the ground. I probably use a second mattress for increased insulation such as the fair prized Thermarest Z-Lite foam mattress in a next winter night-out. Here’s a short discussion on how multiple sleeping pads can increase the warmth. So, I wanted a winter sleeping bag and this led me to do some research. However, in the world-wide web there’s a lot of information but most is of not so much value. Moreover, some information just confuses costumers, which renders it impossible to compare products. Even tests that were meant to standardize the decision process are confusing. This section avoids any brand names in order to allow you to build an unbiased opinion, on the various factors that make up the characteristics of a sleeping bag. At the same, this sleeping bag guide debunks some empty marketing terms. Links in this post might be affiliate links, which help this site to sustain to no additional charge for you. First and foremost, the choice of insulation material must be solved. Either you can go for synthetic or down material. Both have their fields where they excel: Synthetics are more water-resistant and cheaper, down is lighter and more compressible. In my case, the decision clearly was in favor of down, due to its weight and size. Regarding down there is the further distinction between goose and duck down. The former is loftier and subsequently warmer but also more expensive. Keep in mind that high-quality duck down is still far superior to mediocre quality goose down. Yet, the duck down is often of less quality because good quality is scarcer. Geese have larger clusters of down and subsequently more qualitative material. A third consideration is the claim of water-resistant down. Certain outdoor brands try to combine things that do not necessarily fit together. They call it ultra-dry, super fiber, hydrophob innovation XY down. An anonymous member of Reddit pointed out that the treatment of the feathers eventually will peel off and will rather interfer and shorten the lifespan. So, why teaching a bird to swim? Subscribe to the ExpediTom mailing list in the lower left corner to receive notifications of part 2 next week! Clarification about Catch and Release in Switzerland: Yes we can.